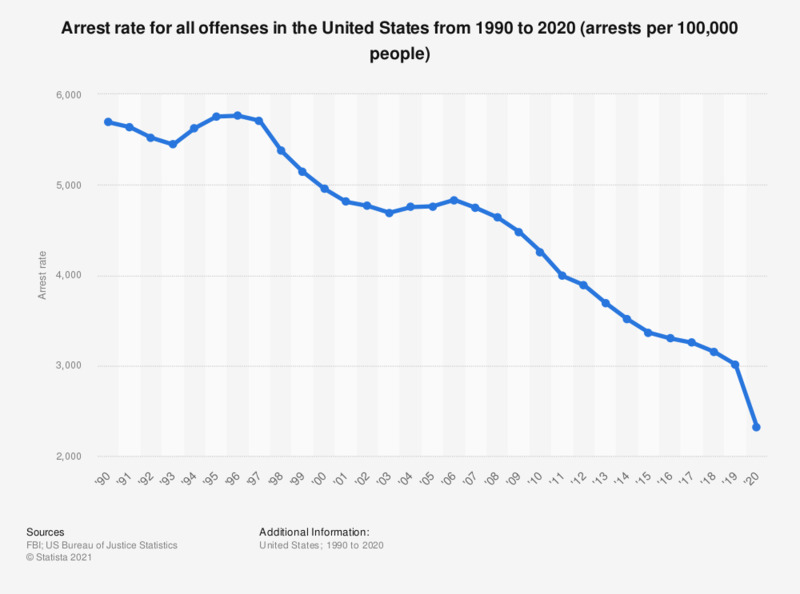 This graph shows the arrest rate in the United States between 1990 and 2017. In 2017, the arrest rate was 3,251.5 per 100,000 of the population. Rates are the number of reported offenses per 100.000 population.